1. Respond and rework; answer the question on your blog, replace one question that you dislike with a question of your invention, add more one question of your own. 2. Tag eight other people. What is your current obsession ? What are you wearing today ? Three colored pasta with fresh spinaci and gorgonzola. Elastica, it's a so-called 'brit pop' band from the middle of the nineties. I don't listen very often to this band nowadays but i love it. It's nice and girly indie music. Name three favourite fashion blogs. Why do you love them? the alteration - An amazing mix of flashy vintage and thrilling highstreet pieces. keiko lynn - She has a stunning vintage style... and the most beautiful make up! 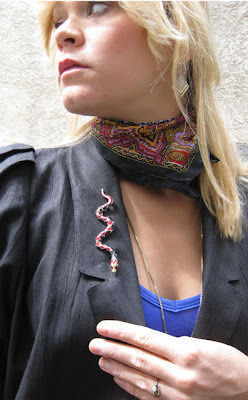 strawberry kittens playground - Germanys best color and pattern mixing fashionblogger. Good to have you back!!! What's your must have pieces for winter? What's your favorite vintage/fleamarket find? 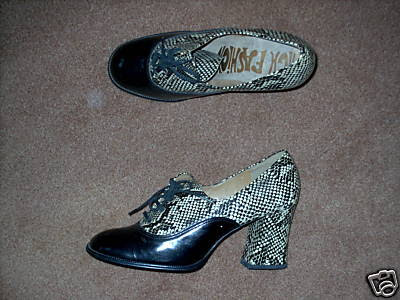 There are a lot of fantastic beloved vintage finds in my closet... My cream colored lace up wedges made by Pollini?! Or my black suede uplace booties from Pierre Cardin?! I think my most favorite fleamarket piece is my pair of silver flats. I bought them on the local fleamarket and I wear them a lot for several years. If you could go anywhere in the world for the next hour, where would you go ? New York. Shop till you drop... at Beacon's Closet! It's nearly six years ago when I went there to visti my best friend. She was living in Brooklyn for several months. Which language do you want to learn ? Brasilian portuguese. My boyfrind is from Rio de Janeiro... I'm able to order my dish or drink at the restaurant or buy fruits or juices at the market... but it's not possible to have a real conversation with me. What are your favorite quotes ? Sorry, I'm a german girl, so I do have german quotes! 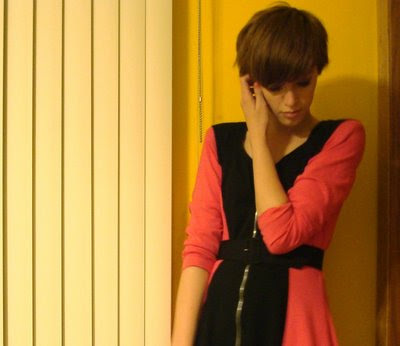 What is your favorite piece of clothing in your own closet ? I can't answer this question offhanded... There are a lot of pieces i love... some of them for years others because they're new and thrilling to me. What do you consider a fashion faux pas ? People loosing their own identity while wearing everything that's 'in fashion'. But, I talk about style not the person itself. Describe your personal style ? Vintage, vintage, vintage... I don't know. I don't like to describe my style - I prefer to show it - while wearing pieces i like to wear. What's the most expensive fashion item you've ever purchased? It's my LV Trocadero. I bought it on ebay. But it's too small, I don't use it at all. What can you never leave the house without? I went a little shoe shopping on ebay the last days. Yesterday was my fortunate day. I was searching for blue shoes for months but i didn't found the right ones. When I found a pair I really liked, i couldn't find the right size. At least it was regardless of which sort or style they were... booties, heels, sandals, flats... just blue. 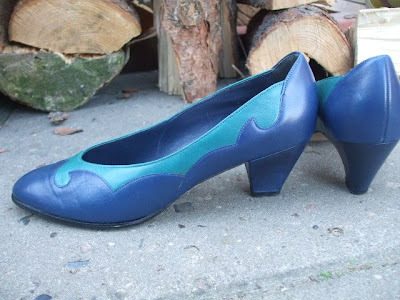 Last weekend I found this nice pair of blue and turquoise 80s pumps at an ebay shop called vintageherz. I don't know if these pumps will help me out of my blue-shoe-disaster ...but they're too flashy for not owning them. At vintageherz you can find a big collection of boots, pumps and sandals from the past decades. Don't be confused, if you visit this shop at present you will find some vintage teddy bears aswell. 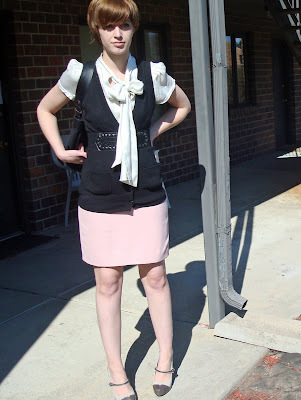 While i was looking for anything blue i stepped over a pair of 60s lace pumps. I fell in love with their snakeskin style instantly. And - I got my hands on them aswell! I hope both pairs are going to arrive as soon as possible... and I hope they are fitting right. ...The people in my hometown seems to feel happy wearing sporty jeans, artless t-shirts and retro adidas' or pumas shoes. That's it. I feel bored about this so-called 'fashion-tiredness'. I can't expect that everybody around is interested in fashion... but sometimes it feels like no one is having the heart to wear extra, flashy or just different clothes than jeans and sportshoes. Is it just my hometown?! When I go through the german streetstyle-blogs I feel quite the same... Even the people from Berlin or Hamburg don't look that particular - like the ones pictured in NY and Paris do. Why is Germany so dull?! Please, don't wear a simple t-shirt and boring jeans everyday! Thanx. Now I gonna do my taxes while wearing an old tee and jeans, hahahahaha. 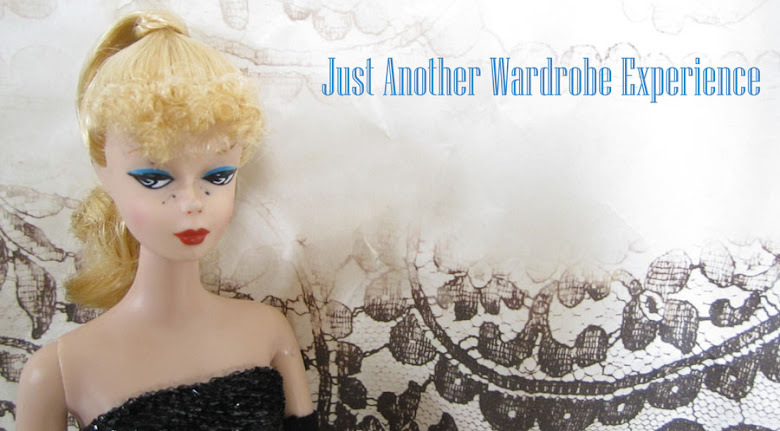 There's a new amazingly dressed lady in the fashion blogging scene. Go to the alteration and get happy!